Showfleet not only prides itself on providing quality service to its customers but also in providing a superior workspace for its employees. The detailing company’s leaders contact Screenflex looking for a solution to their need for more space in their office. “We needed to partition an open space to create office and conference rooms to provide a creative and recreational environment for our crew,” Ed explained. The Screenflex design specialist listened to their needs and explained how Screenflex partitions can help. They wanted office partitions that they could move easily as their space requirements changed. 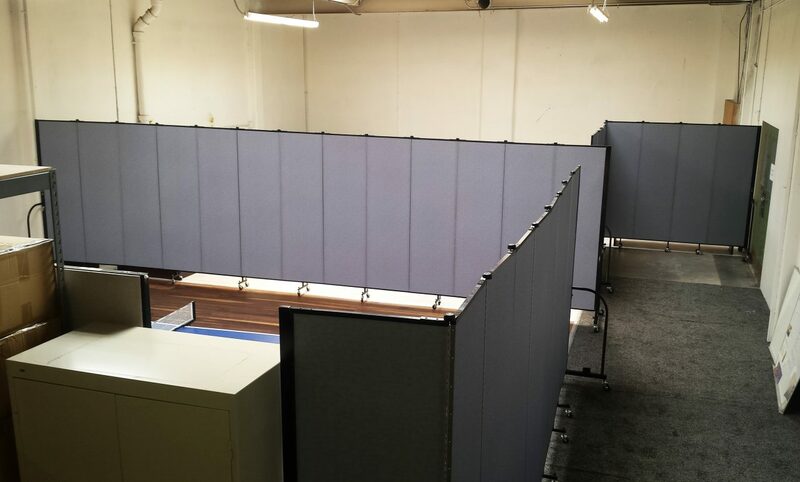 Not only do the dividers divide the space, they absorb ambient noise, serve as display walls, and provide much-needed privacy in an open office space.